People in cramped apartments have had to choose between tables or shelves for ages. Without a desk, it's difficult to get real, substantial work done. Without shelves, crap simply piles up around your apartment. 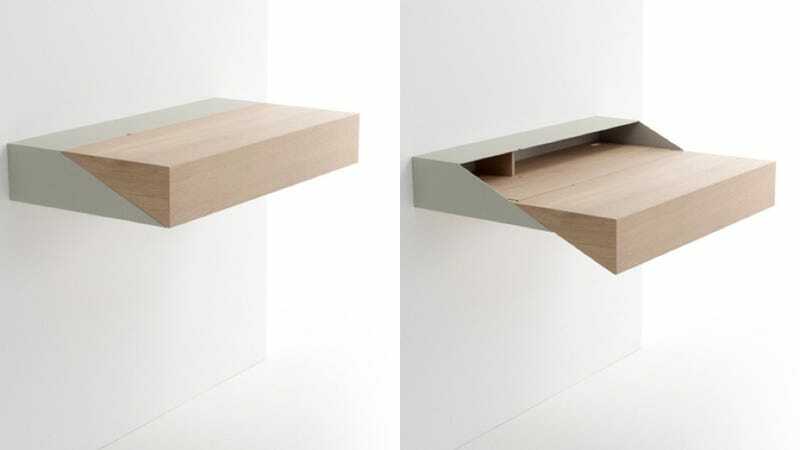 But with the Deskbox desk-shelf hybrid, you get both and it doesn't take up any extra space.